The national debt recently hit $21 trillion, which is up from $3.9 trillion shortly before the 1992 election - or an increase of $17 trillion in 16 years. President Trump, and Democrats and Republicans from the House and Senate agreed to a "debt-limit suspension" that allows unlimited borrowing through March 1, 2019. Their spending has placed them on course to bankrupt the government (Social Security and Medicare are projected to go bankrupt in 10 to 15 years) - causing substantial disruptions to all our vital services, as well as our nation's defense over the course of the next two decades. If you had hope that the Republicans would ever make good on commitments to cut spending, and set better budget priorities - you need only look at the 2,232-page $1.3 trillion omnibus spending bill that was passed this year that increased spending, and made no significant reforms of existing government programs. Balancing the budget has been another popular campaign promise from Republicans. And yet, the omnibus spending and tax reform bills are positioning the government to run deficits starting in 2020 that will be in the trillions - not billions. At the time this article is being written, we are half-way into the government's fiscal year, and we are already nearly at a $600 billion deficit (FYI: it's $599 billion). If Schumer and the Democrats believe running deficits of $850 billion is being frugal, or austere, or the same as "reducing spending"... Can you imagine what he and other Democrats want to spend if they get power? Remember: Interest payments do not build schools, hospitals, provide clean water, or care for the poor or elderly. It's money that could have been used to invest in America, but now is not available. Instead, it goes to our creditors - like China. When Perot won close to 20% of the vote in the 1992 election, and the independent movement gained momentum, Democrats and Republicans were concerned about losing to a potential third party. By the mid-1990s, United We Stand had been created, then the Reform Party. Therefore, instead of arguing - politicians in the two parties compromised and made agreements on taxes, welfare reform, crime reform, an assault weapons ban, and more. They also did something that unless you lived through it - you might not believe it really happened: Democrats and Republicans balanced the federal budget. The government's policies emphasized increasing consumer spending, which increased corporate profits, but also pushed all the wealth gains Americans had made in a few years into credit card, college, and mortgage debt. Democrats and Republicans lifted policies that encouraged savings in exchange for greater consumerism. In the time shortly before the recession of 2001, most "wealth" had now taken the form of debt. Following the Great Recession of 2008, share of wealth for the bottom 90 percent of Americans, which had been at 35% in the mid 1980s, was now down to single digits - and at the level it was in the 1940s. During the boom years of the mid to late 1990s, Americans had some of their highest approval of the two-party system. The economy was growing. Wages were high, and opportunity and optimism were high. Legislation was getting passed, and while there were political disagreements - the two parties continued to implement new programs and find ways to compromise. As a result, the threat of a third party began to dissipate for the Democrats and Republicans. Success actually has become the enemy of the political elite. With more intense political divides, politicians know that it is in their best interest to not accomplish too much. Outstanding issues become weapons to use for fundraising and campaign messaging. And instead of taking responsibility for a failure to compromise, politicians resort to blaming the opposition, saying, "If only we had more [Insert Party Name] in Congress! Unfortunately, the [Insert Opposition Party Name] are preventing us from getting things done." Now, our elections have become very similar to when we played volleyball in gym class. Every 4 years, someone yells, "Rotate!" and all the same players move around to different places - only to return in short time to where they were before - as the country changes leadership. The truth is - we need to stop believing the perpetual lie that votes for independent candidates are wasted votes. We are all witnesses to the truth that neither the Democrats nor the Republicans can be trusted to lead this country and end the compulsive spending. Join the Reform Party Today! You are tired of the two-parties and their empty promises. You want change in Virginia and in the country. We agree. 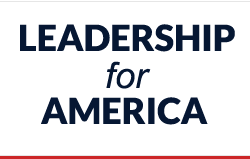 Sign-up today, and let's be a unified voice for America. Together we can recruit hard-working, intelligent Americans to run for office. Together we can show the politicians and their special interests that WE, the people, own this country. What issue(s) concern you the most?